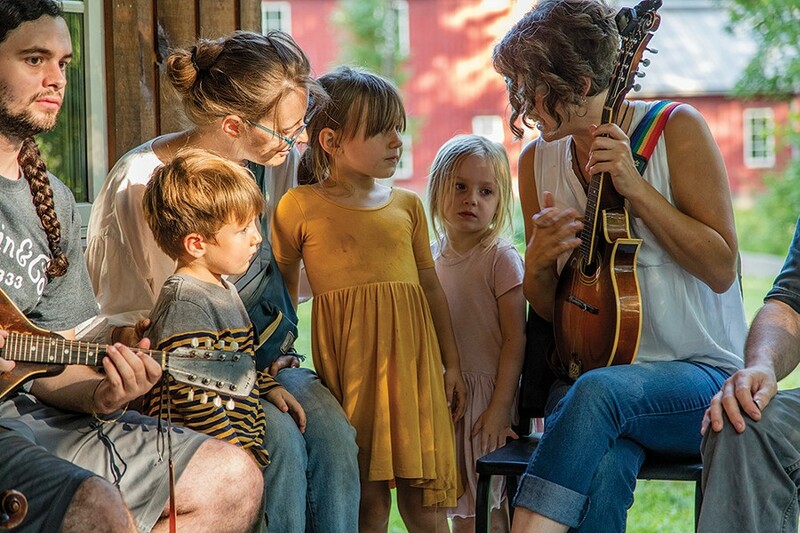 The Ashokan Center’s Family Camp 2018. So what are your kids doing this summer, with that two-month stretch that got started when we needed them to be helping on the farm? Finding ways to help them use the time well can be a struggle, leading to the "summer slide" phenomenon of losing academic ground and to the dreaded "I'm booooored." Some unstructured time is precious, but eight or so weeks of it can become wearing. Hudson Valley camps are your solution: a cornucopia of experiences to nourish mind, body, and social skills (and a parent's nerves). And as you'll see, there's something available for just about any kid. Want your kid to have a traditional experience like the memory you cherish? Raising a budding artist or scientist? Got a kid who'd love to learn parkour moves or join the circus without having to run away first? They've got you covered. Certain common elements apply: you'll find tender-loving supervision, expert instruction, and people who are passionate about their fields and love to share them with the young. Many programs have some form of scholarship available, and will send your kid home with a deepened sense of just what they love and who they are—not to mention some brand-new friends. Campers design and paint kites at Art Effect. Art Effect, the Poughkeepsie-based synthesis of Spark Media and the Mill Street Loft, offers weeklong programs for kids aged 4-12 at various locations around Dutchess County and, for the first time this year, in Ulster. "They explore different forms of artmaking, theatre and dance. It's really about exploring yourself, who you are, and what you like, while having a lot of fun," says Executive Director Nicole Fenichel-Hewitt. Art Effect also offers more specialized programs for older kids. 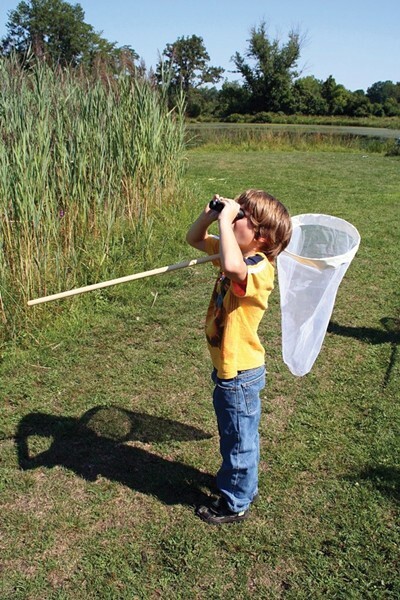 With a wildlife education center and outdoor discovery center in Cornwall, Hudson Highlands Nature Museum offers different themes each week for ages 4-12; such as Remarkable Reptiles, Marvelous Mammals, Eco-Art, and Powerful Plants. Each includes a special field trip day and loads of exploring and experimentation; pick one, two, or a summer's worth. "Our campers have a great time outdoors, while learning about science and the natural world," says Joanna Reisner, marketing manager. At Black Rock Forest Consortium's Summer Science Camp in the Hudson Highlands of Cornwall, kids 11-15 spend a week investigating a 3,838 acre "living laboratory" in the company of career scientists and PhD candidates. "Students get to explore the outdoors in greater depth, and spend much if not all of their days outside exploring the forest through the eyes of a true scientist," says Camp Manager Kate Terlizzi. Summer camps at Phillies Bridge Farm Project in New Paltz combine components of STEAM (Science, Technology, Engineering, Art, Math) with an emphasis on fun, farming, and sustainability. Open to children aged 4 to 12, these camps give kids the opportunity to play in the gardens and work with the animals on a daily basis as they learn about the farm's daily operations and help with hands-on crafts and experiments. 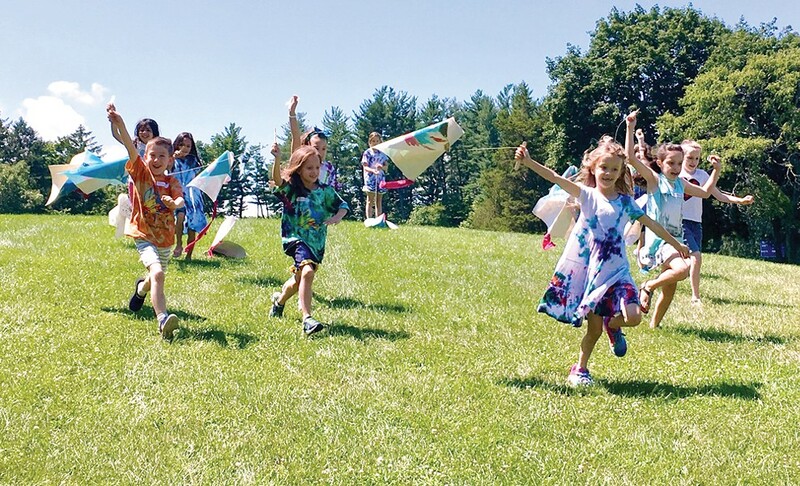 Hudson Hills Montessori in Beacon offers an eight-week day camp experience for ages 2.5-6; campers explore weekly themes through arts and crafts, nature investigations and hands on activities in the company of Montessori-trained instructors, with a lot of outdoor time. "Camp's a time to build friendships, laugh and grow. ; Hudson Hills incorporates the Montessori principles of respect, independence and joyful exploration," says Primary Director Carolyn Sheeran. The whole family can camp together at the Ashokan Center beside the reservoir of the same name, where Family Camp in August incorporates storytelling, puppetry, nature, crafts and pure play "No one can come to Family Camp without a kid, and people bring interested older kids to our adult learning vacation programs," says Jay Ungar. Ashokan Center director and the founder of the Music and Dance programs. "And this year we're adding a kids' track with a music and dance focus, but more outdoor games and nature hikes." Hudson Highlands Nature Museum nature hike.